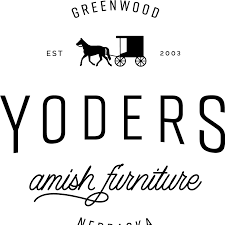 Located in Greenwood, Nebraska, Yoder’s Amish Furniture is a furniture store that offers handmade furniture. Yoder’s Amish Furniture offers the endless combinations of woods, stains, and options, because of their personal relationship with over 100 Amish craftsmen. 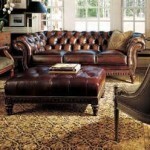 You can visit their showroom or call them, if you simply want to know more about furniture at Yoder’s Amish Furniture. Home to the world’s largest Amish population is the Holmes County. The Amish population lives with their unique way and lifestyle. They avoid modern conveniences. They make their own clothing, milk their cows by hand, light their home by lantern, farm without benefit of high-powered machinery, and travel by horse. The Amish culture historically has been agricultural-based. However, many Amish have undertaken other occupations due to a growing shortage of good farmland. These include carpentry, woodworking, buggy-making, basket-making, engine-repair, quilting, and blacksmithing to name a few. Through the home-based shops, many Amish families conduct their occupations. Yoder’s Amish Furniture contracts with the Amish to make some of the most beautiful and sturdy handcrafted furniture in the world from these home-based shops. The owners of Yoder’s Amish Furniture are Roger and Carla Dennis. Yoder’s Amish Furniture features online shopping. You can collect your purchases in a shopping cart as you look through their products pages. 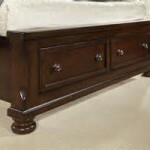 For a sample of their fantastic handmade Amish furniture, check out their products page at www.yodersamishfurniture.com. Feel free to call them, if you are looking for something specific. If you are near Greenwood, Nebraska, they can handle the purchase over the phone or personally in their showroom. When you place your furniture order, it will available for pick up or be shipped in 8 to 12 weeks. 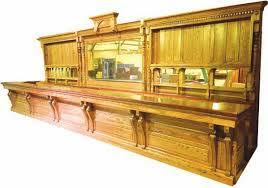 After you place your furniture order, your furniture is then custom built by the Amish craftsmen. Yoder’s Amish Furniture delivery service can deliver furniture all over the United States. 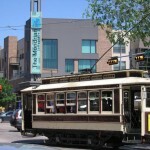 With their industry specialists, it is surprisingly affordable to ship furniture. Their products pages, have displays of several furniture categories include dining room, bedroom, family room, home office, poly furniture collections, bathroom, hall furniture, rocking horses, and accessories. All of Yoder’s Amish Furniture products are handmade,and is ideal for those who love handmade furniture. However, there are no prices shown on the products page. You can call them or use their shopping cart to get an exact price that includes the choice of delivery and custom product options. 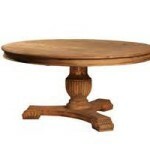 Where to Find Discount Furniture Stores Online with Free Shipping? About the Author: Handy Home Design is the premier Home Design website, giving you invaluable tips, tricks and information, for giving your home a handy make over. More from this author.